Haitian-born Mr. Dan Charlier was the only child of a single mom who had to leave him with his grandmother until he was 9 years old in order to come to the United States and make a home for him. Raised in Brooklyn, NY Mr. Charlier learned early on that success would come only from hard work and perseverance. After high school, Mr. Charlier enlisted in the Marine Corps where he set his sights to do something that only one percent of one percent of Marines ever accomplish. He held the esteemed, most prestigious position of the 23rd Color Sergeant of the Marine Corps leading a platoon of Marines entrusted to carry the colors at the White House and at all ceremonies for the military and the President of the United States. 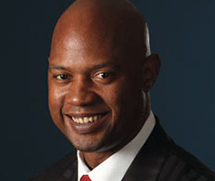 After 13 years in the USMC, Mr. Charlier transitioned into the financial services industry where today, he leads and mentors hundreds of thousands of people including more than 250 independent brokers, EVC’s, CEO’s and multiple six figure earners who run their own financial services organizations in 20 states including Hawaii and Puerto Rico. All of these independent brokers and their teams are united in a mission of providing financial solutions that deliver peace of mind for families and who champion the cause of families by empowering them to achieve their goals and dreams. Mr. Charlier currently resides in Beverly Hills. He is active in the community. He is very grateful and thankful that he is now able to give others an opportunity to change their lives like someone gave him 19 years ago. Mr. Charlier prides himself on his ability to help clients, family members, and team members to achieve their dreams through his crusade to give the middle-class family the opportunity to transition into a business for themselves not by themselves, with a solid financial education.